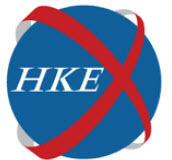 The Stock Exchange of Hong Kong Limited (SEHK) – commonly referred to as the Hong Kong Stock Exchange – is one of three stock exchanges in China. It is the second largest of these three in terms of market capitalization, which means that it outranks the Shenzhen Stock Exchange but not the Shanghai Stock Exchange. 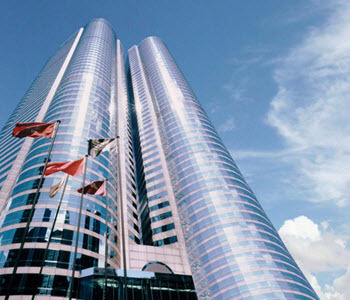 SEHK is also the third largest stock exchange in Asia and the sixth largest in the world. A vast majority of all companies listed on SEHK are Hong Kong based or based in mainland China. Less than 10% are foreign companies. Pre-opening auction session 09:00 am – 09:30 am The opening price of a security is reported shortly after 09:20 am. also known as the lunch break 12:00 noon – 01:00 pm Trading is only possible in specifically-designated securities (currently two ETFs). Afternoon session 01:00 pm – 04:00 pm The closing price is reported as the median of five price snapshots taken every 15 seconds from 03:59 pm to 04:00 pm. Trivia: SEHK used to have a two-hour long lunch break between 12:30 pm and 02:30 pm. It was the longest lunch break among the world’s 20 major stock exchanges. I was shorted to 90 minutes in 2011 and 60 minutes in 2012. There is a small physical trading floor in the building complex Exchange Square in central Hong Kong, but free float trading is largely a thing of the past for SEHK and physical trading currently accounts for less than 1% of the total trading volume at the SEHK. At SEHK, a stock would have to consistently trade below HK$0.50 to be considered a penny stock by traders. It is not uncommon at all for the shares of large and well-established companies to trade below HK$4 at this exchange. The stock market contains a large number of gambling-related stocks. We found close to 30 different gambling related companies when we last checked. 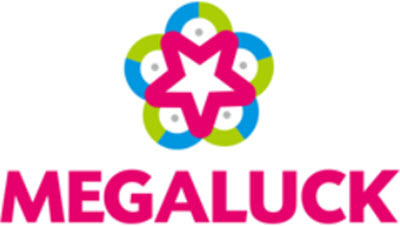 Among these, you find large companies such as Galaxy, Melc, SJM, Success Universe Group, Macau Legend Development, Wynn Macau, Paradise Entertainment, MGM and Sands China. All these companies operate casinos in Macau. The stock market also contains a number of companies who operate online casinos. One such example is New Silkroad Culturaltainment who operates Megaluck Casino. You can find other examples of casinos that caters to clients in Macau, Hong Kong, and other parts of Asia. One of the most well-known indices based on the Hong Kong Stock Market is the Hang Seng Index, a freefloat-adjusted market capitalization-weighted stock market index based on 50 companies listed and traded on the Hong Kong Stock Exchange. It is considered the main indicator of the overall market performance in Hong Kong, and its 50 constituent companies represent more than half of the total capitalization of the exchange. A company must be among those that comprise the top 90% of the total value of all ordinary shares on SEHK to even be considered for HSI inclusion. It must also be among those that comprise the top 90% of the total turnover at the exchange. Generally, only companies with a listing history of 24 months or more are considered, but exceptions can be made for newly listed large-cap stock that fulfills certain criteria regarding average MV rank. Among eligible candidates for the HSI, the final selection is made based on market capitalization, turnover ranking, financial performance, and representation of the respective sub-sectors within the HSI. HSI debuted on 24 November 1969. The idea was to create a “Dow Jones Index for Hong Kong”. 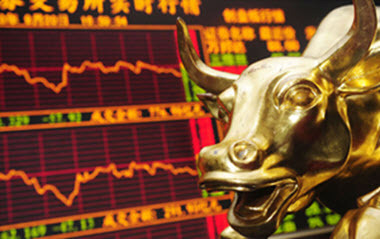 HSI is compiled and maintained by Hang Seng Indexes Company Limited, a subsidiary of Hang Seng Bank. Hang Seng Bank is held in majority by British financial firm HSBC. Securities were traded in Hong Kong by the mid 19th century, but it would take until 1891 before the Association of Stockbrokers in Hong Kong was created and a formal stock market established. Back then, Hong Kong was a British Crown Colony. In the 1950s, Hong Kong was rapidly industrialized, with a focus on textile exports, manufacturing industries and re-export of goods to China. The economy flourished and by the early 1970s there were four different stock exchanges in operation in Hong Kong. In 1980, they were unified into The Stock Exchange of Hong Kong where trading premiered on 2 April 1980. June 1992 The Central Clearing and Settlement System (CCASS) was introduced. July 1993 Listing of the first China-incorporated enterprise (H share). November 1993 The Automatic Order Matching and Execution System (AMS) was introduced. In the early 1990s, a and A few years later, the first off-floor trading terminals were installed in broker’s offices. The Hong Kong Exchange launched the Growth Enterprise Market (GEM) in November 1999. It is intended for growth companies that do not fulfill the standard SEHK requirements regarding profitability and track record.